Want to lose weight? There’s an app for that. This is the second instalment in a series of posts in which I am trying to answer the question of how I lost 16 lbs in under 11 weeks. I am not saying that this is the all time greatest dieting achievement, I’m simply trying to give a proper answer to the many people who have asked me how I did it. To recap, the first three steps were: 1) Make a decision and mean it; 2) Set a target; and 3) Tracking inputs and outputs. This post is about the technology available to help you to do this third step. There are many reasons to tool up with technology to help you succeed in your mission to lose weight. Firstly, keeping regular track of the progress you are making is essential for motivation and knowing how you are doing, so that if things aren’t working you can adapt. 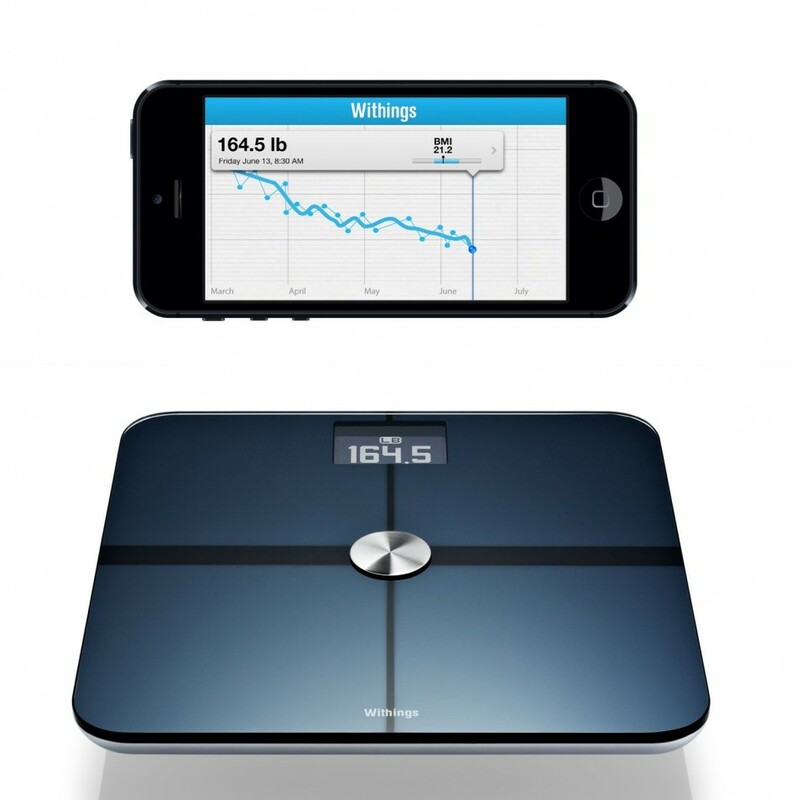 My weapon of choice here is the Withings Scale. This connects to your WIFI and automatically uploads your weight and fat % measurements to the web (by default to a private account if you don’t want to broadcast your vital statistics to the world). It is easy to use and the iPhone and iPad apps provide a wealth of charting and tracking data. Nowadays of course, they’ve “gamified” the experience and whilst the “congratulations, you are now 50% of the way towards your weekly weight loss goal” messages are a bit banal, they do actually help to keep you motivated and interested. Secondly, the technology takes the grind out of properly tracking the input side – what you eat, drink and how many calories you’ve burned through exercise. It really does help to be able to link your input actions to the resulting outputs of weight, fat percentage and body measurements. Whilst the correlation between inputs and outputs is far from perfect on a daily basis, measured over a few days it really is very strong. And it is the input side that you control. After a while, knowing that each glass of wine means another 20 minutes on the cross-trainer to burn it off really does start to drive behaviour. When you know you are behind against your weekly calorie target, that second helping doesn’t seem so attractive. In terms of apps, I’m using Runkeeper to track cross-trainer sessions, walks, cycle rides and runs and MyFitnessPal to track calories. Both of these integrate with the Withings app and so you can view all your information on an integrated dashboard. The Withings Pulse activity and sleep tracker is also good. 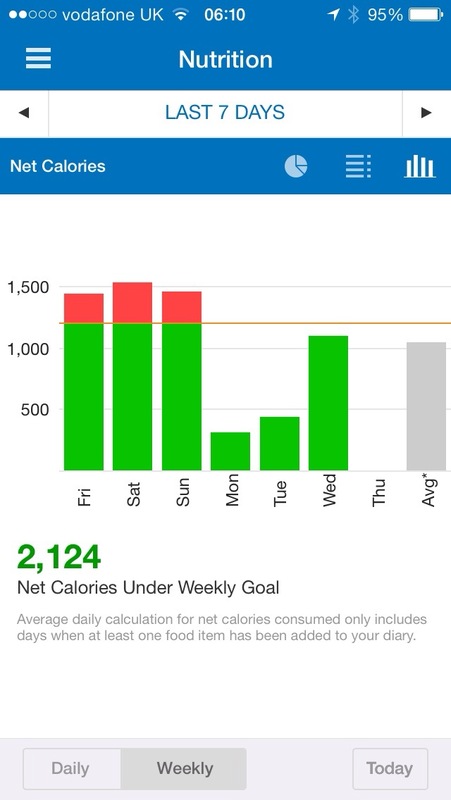 So technology can be a big plus for motivation and help you stay on target in terms of keeping to your daily and weekly net calorie budgets. For me, as a technology enthusiast, it has also helped to keep me interested in “the project”. But for anyone wanting to follow “the Boyle weight loss plan”, I’m afraid that this is the end of the easy part. The next step in the journey will require you to get up from the sofa and out from behind your desk and start burning the calories. Tomorrow’s post will deal with how I have found the time and motivation to average 50 minutes of exercise a day. This entry was posted in Health and tagged Health, Technology by Robert Boyle. Bookmark the permalink.